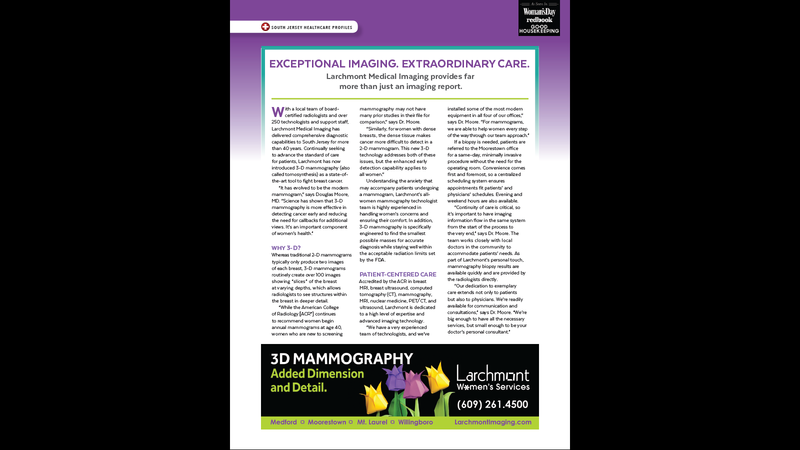 We are pleased to share the exciting news that Larchmont Medical Imaging has earned recognition by the American College of Radiology (ACR) as an ACR Designated Lung Cancer Screening Center. We are one of only four practices in New Jersey—and the only one in Burlington County—to have earned this distinction. This recognition enables patients and their physicians to choose Larchmont with confidence for low-dose CT lung cancer screenings, which have been shown to reduce the risk of dying of lung cancer by at least 20 percent in heavy smokers. At Larchmont, we have the right technology and the right expertise to perform these screenings and detect lung cancer at it its earliest possible stages. For more information about low-dose CT lung cancer screening, please visit our Health Screenings page.